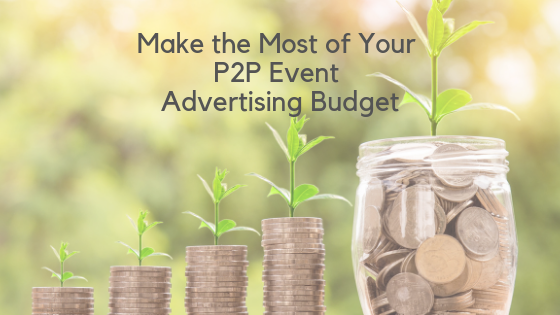 Let’s be honest, your advertising budget for your peer-to-peer event is never as big as you would like or even need it to be. That’s why collecting data around what ad method is most successful in getting individuals to participate in your event is imperative to ensure you are spending your advertising dollars where it truly counts! If you’re hoping to spend your advertising budget more efficiently for future events, the first thing you need to know is which of your marketing campaigns were most successful. Were they drawn to your event by a friend or a billboard? Did they hear about it through their office’s charity team or a promoted social media blast? Drill down and be as specific as you would like. Did they find you on Facebook, Instagram or Twitter? Was it the radio ads that your organization doubled up on in the weeks leading up to the event? It’s important to know, before you make the same advertising decisions next year. A lot of organizers struggle with finding the right time to ask their participants what exactly persuaded them to come. Look no further than your day-of check-in and registration process. You can easily determine which of your advertising campaigns most effectively reached participants and donors by asking them in person the day-of your event. If you want to make this process even more simple, ditch the clipboard and go mobile! With Grassroots Unwired’s Peer-to-Peer Mobile App, all of this information is collected and sent back to your CRM, in real time. Collecting these figures will be instrumental in using your limited budget to its fullest potential. You will no longer be spending your already limited budget on ineffective advertising. You can confidently focus your efforts wherever your prospective donors are already looking. Attract more participants and have more powerful events!